Bensheim / Frankfurt/Main, 24 September 2013 – Sanner GmbH has set its strategic focus entirely on pharmaceuticals. With its new claim “Sanner. Protecting Health.” the company underlines the expansion of its leading position in the product areas; Test Strip Packaging, Pharmaceutical Desiccant Packaging, Effervescent Packaging, Ready-to-Fill Syringes, Eye Care and Pharma & Medical Packaging. The emphasis is on expanding the existing product areas as well as the expertise in customized solutions. One element in the strategic reorientation was the rebuilding of the company headquarters in Bensheim, which has now been successfully completed. At CPhI Worldwide in Frankfurt/Main from 22 to 24 October 2013, the packaging specialist unveils a new logo and a strategy tailored to pharma and healthcare customers. The development, production and supply of plastic pharmaceutical packaging with integrated desiccants have been part of the core competence of Sanner GmbH for many decades. Having undergone a strategic reorientation, the company is now directing its focus fully on the pharmaceuticals, medical technology and healthcare sectors. 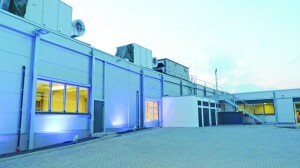 One pillar of the strategic reorientation – the rebuilding of the company headquarters in Bensheim – was successfully completed in September 2013. The 30,000 square meter company site underwent comprehensive modernization, in which Sanner invested 4 million Euros in improved GMP compliance, sustainability and efficient logistics processes. The reorientation is underlined by an innovative external appearance with a new slogan, logo and a modified corporate design. The new claim “Sanner. Protecting Health.” highlights both standard and customized packaging for safe and precise pharma, healthcare and medical technology solutions. 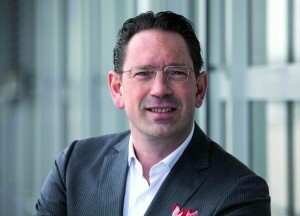 “We want to send a clear signal to our customers: Sanner is now 100 percent pharma,” says Sanner CEO Holger Frank. A consistent focus on customized solutions has helped the packaging specialist to continue to grow over recent years in Germany and throughout the world. “For us, it is only logical to focus on what we do best: developing high-quality packaging for the pharmaceutical, medical technology and healthcare sectors,” says Frank. Sanner’s customers place a great deal of trust in the company’s expertise in implementing demanding products. Combined with creative product ideas, this aspect enables Sanner to rapidly develop innovative products and make them ready for the market. Dividing the pharma portfolio into six new product categories underlines this development. Sanner has been the Asian market leader in Test Strip Packaging for many years and has continuously developed its portfolio. The highlights of the Pharma Desiccant Packaging product category include the “360° Capsule” desiccant capsules, while “TabTec” tablet packaging is a core product of the Pharma & Medical Packaging category. It ensures safety, easy removal and convenience on the go, and is now also available with child-resistant (CR) function. For more than 50 years, Sanner has been producing market-leading solutions in Effervescent Packaging. With its expertise in plastic and COC syringes, the company has already developed numerous custom products in the Eye Care segment. The same accounts for Ready-to-Fill Syringes. As a result of this growth, Sanner has created additional cleanroom production capacity to fulfill customer-specific requirements. Trade show visitors to CPhI in Frankfurt/Main (booth 41D69) are first in line to get an idea of the new strategy and appearance. Virtual info boards give a comprehensive overview of the broad pharma product portfolio.